I decided to do this card for someone very special. I made this card for my Uncle Steve and I also entered it here at Tiddly-Inks for their challenge. Thank you for taking a look at this card. I have many more to make for Christmas, but this was a start. Thanks again. Beautiful card! Thanks for playing along at Tiddly Inks! We have lots of freebies too! Check out the store and Paper Craft Planet!! 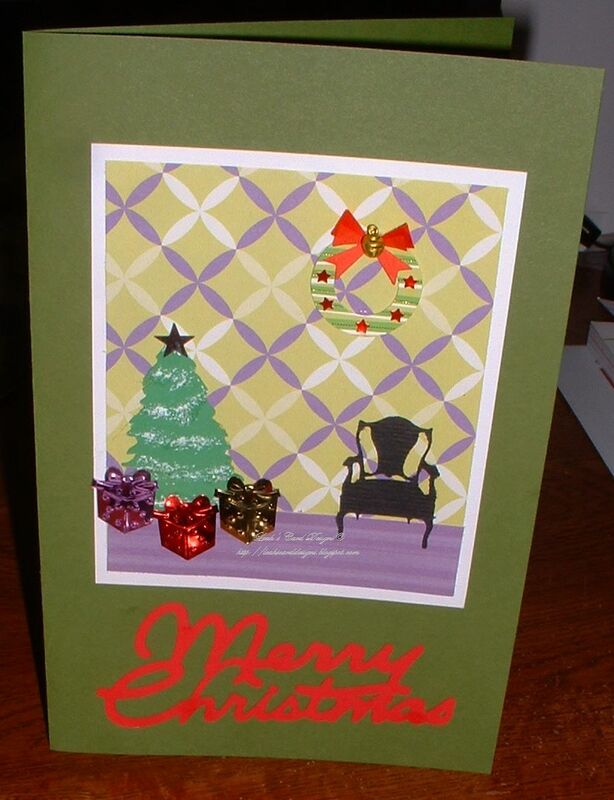 Thanks for joining in the fun - your card is lovely - love the little snow on the tree!